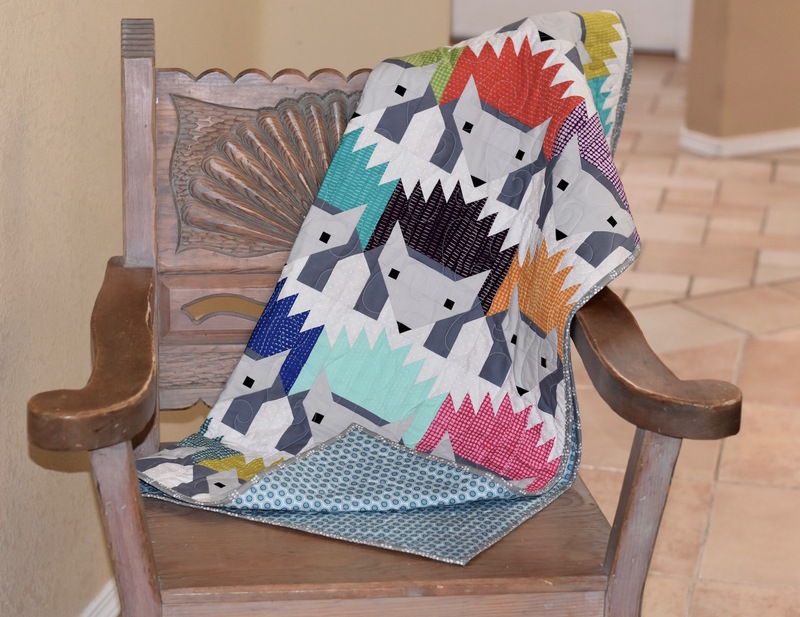 I just love these critter quilts. I did Dwight the Dear last year, and also bought the patterns for Bjorn the Bear and the Fancy Forest. 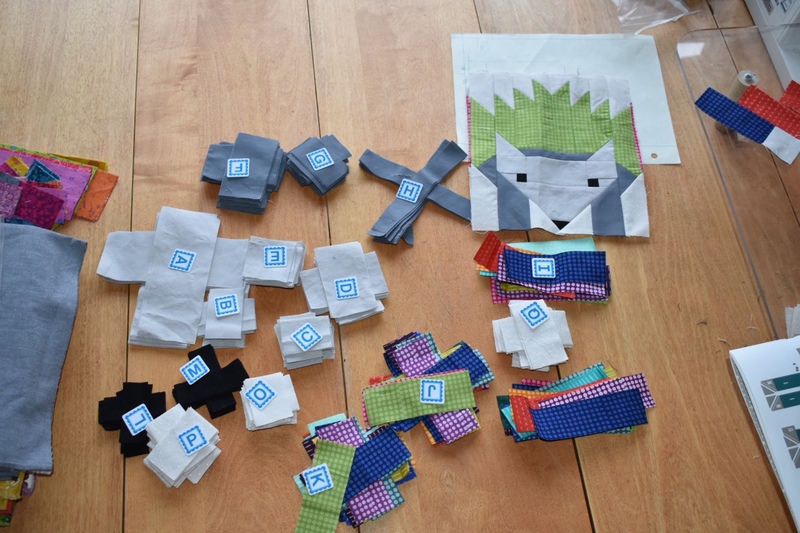 The Fancy Forest pattern package has Hazel the Hedgehog in it, and I couldn’t resist making a bunch of Hazel blocks. I did the piecing mainly over the holiday break and then sat on the blocks for a few months while I finished another project. I whipped them out this weekend, put them together, and got them quilted. 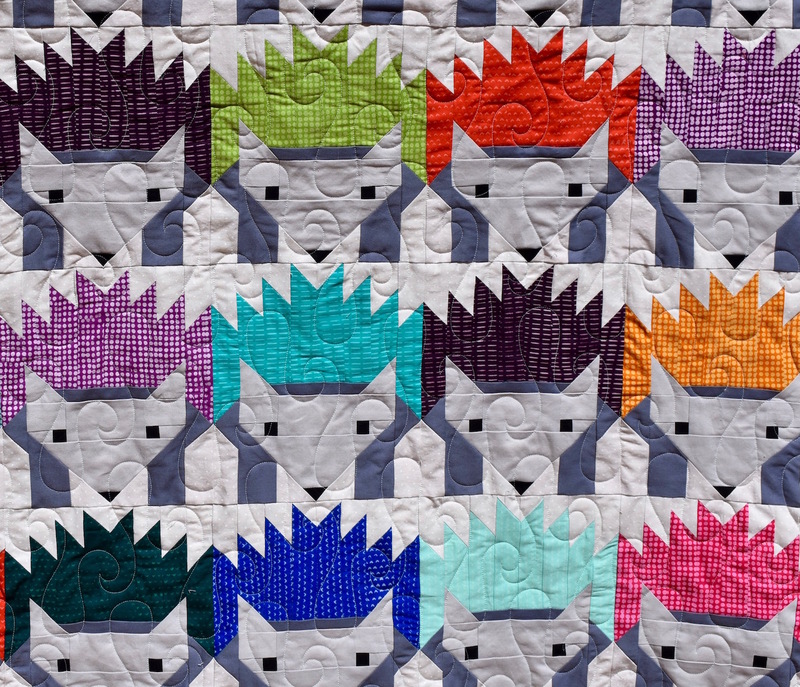 Here is a close up of the quilting – it is a very simple, open pattern called Raindrops. 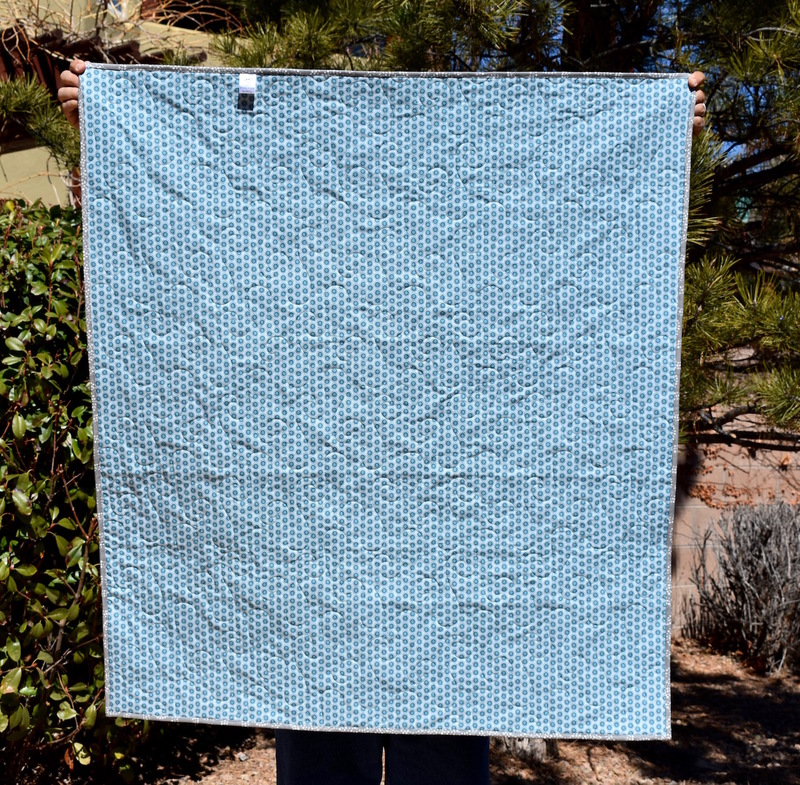 I just bought a bunch of colors of SoFine #50 and used a light blue thread for both the front and back. I think it blends in well. I love my Hazels and I might be tempted to make more but man, they took some time to get together! For now, Hazel is heading off to Hawaii to meet my new nephew. 25 total Hazel blocks, final measurement 40″ wide by 45″ long. Quilted with SoFine #50, color 519 in the top and the bobbin. This was on my Q1’18 FAL list, so I’ll link up there at the end of March. 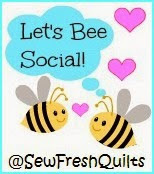 Also linking up with Wednesday Wait loss and Let’s Bee Social. Oh Hazel’s wonderful! I can see how she took a while to put together, but man, is she worth it! Oh so cute! Thanks for sharing her on Wednesday Wait Loss. It’s beautiful! I only made one, a while back, for a pillow. You did great sticking with it! Your nephew will love it! Honestly I made 2 blocks to start with and thought ‘that wasn’t too bad’…but making another 23 was a whole different ball game! It really took some time. But I’m happy with how it came out and you are right, I think he will love it (eventually, when he is old enough to even appreciate what it is! ). Love it! I want to make one. I bought the Fancy Forest pattern. I just have to get the fabric for it. Thanks so much! Hazel was fun to make, but man there are a lot of pieces. 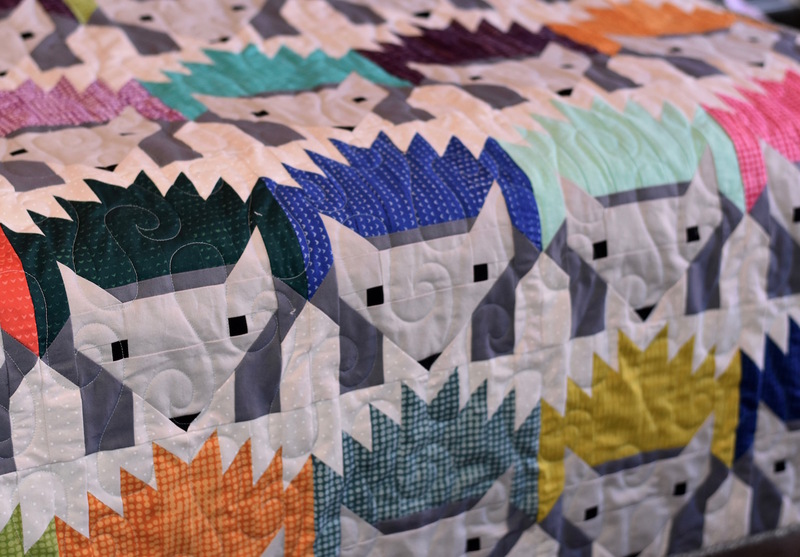 I have the whole Fancy Forest pattern too – someday maybe I’ll try and make the whole thing. Good luck with yours! Very fun – Hazel is one of my favorites, and I love the panto you chose for this. Very very cool! I think I need to put this on my to-do list. Great job! 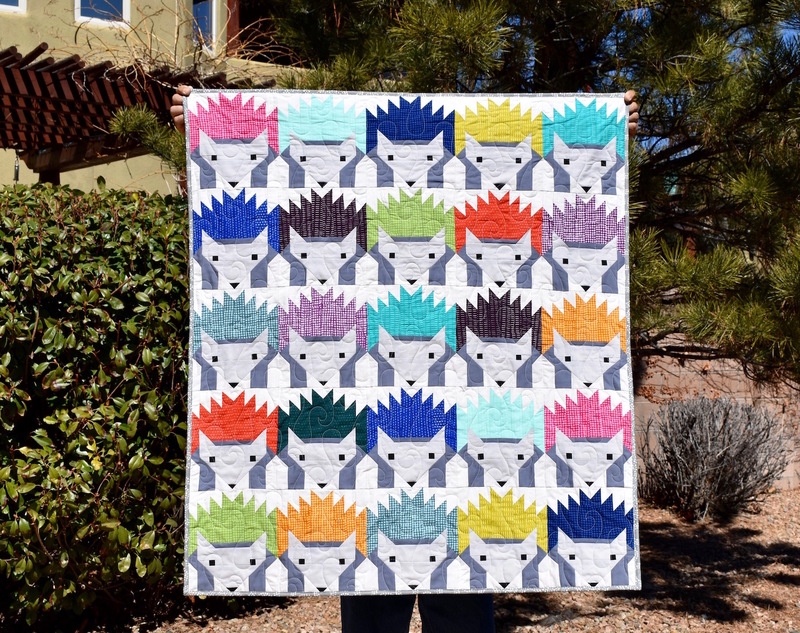 It did come out well, and I love a good critter quilt. There were lots and lots (and lots) of pieces, but I think it was worth it. Good luck with yours – I’d love to see it if you make one! 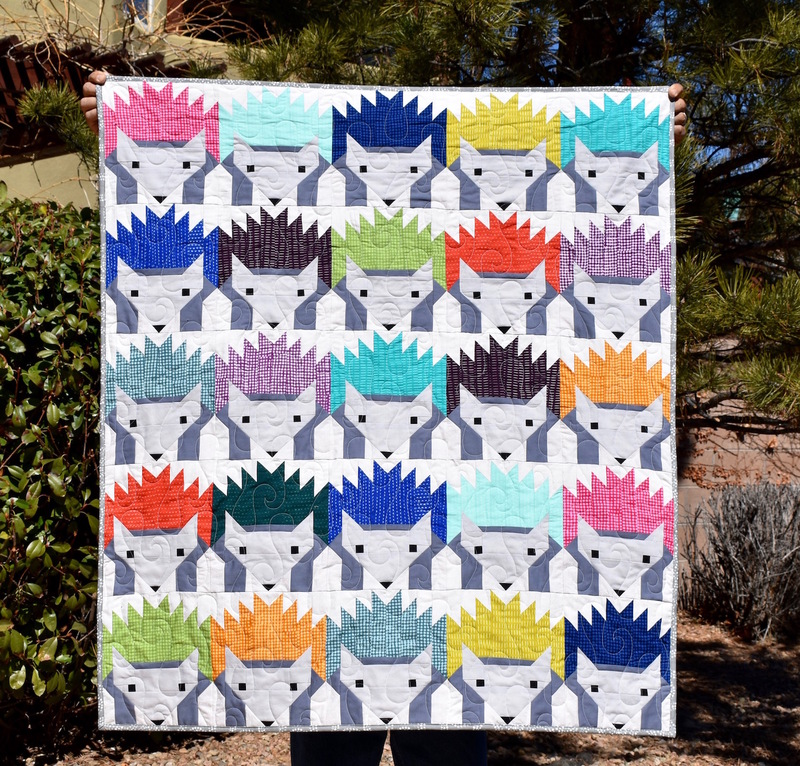 Great collection of Hazels 🙂 I love the quilt, and the way it is completely filled with hedgehogs of all colours!! On behalf of the hosts, thank you for participating in the Finish-A-Long!